Combine the sugar, peanut butter, and margarine very well. You’ll have to get your hands dirty here to get it properly combined and to bring it to hold together. Use as much milk as you need to hold it together, but be very careful not to overdo it otherwise they won’t stay in shape. Form the filling into egg-shapes. 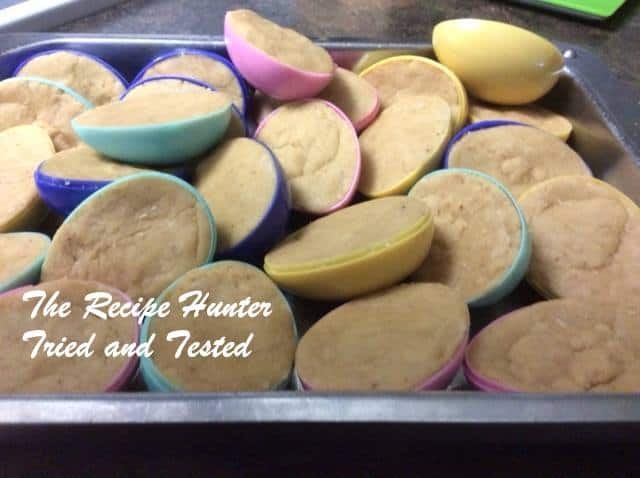 We bought plastic eggs to use as molds to fill each one. Cool them to hold their shape. 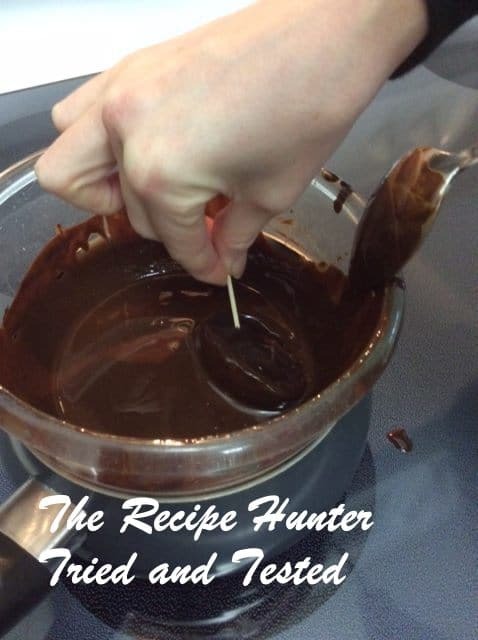 In the meantime, melt the chocolate and shortening together in a double boiler. 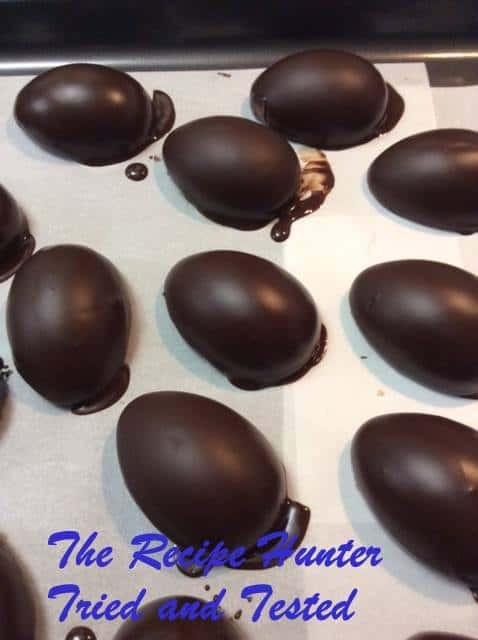 Use a few drops of chocolate to spread over the flat end of each egg, and put them in the freezer to set as you go. 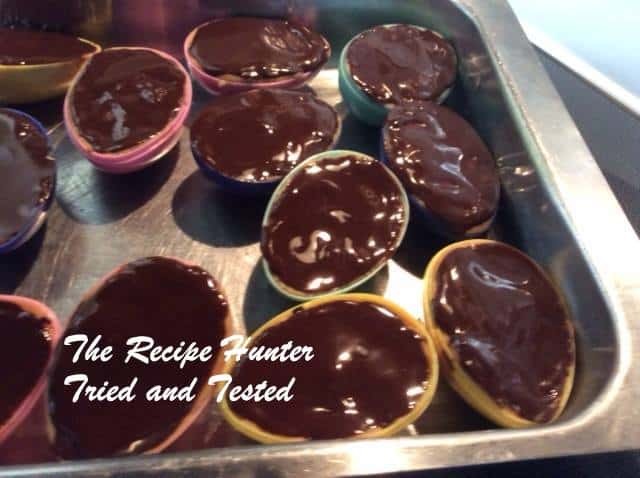 Then starting with the first egg again, pop them out of the mold, spear with a toothpick, and dip the top into the chocolate to coat. Place carefully onto a parchment-lined baking sheet and put them back in the freezer to firm up. Once set, wrap them in plastic wrap and pretty Easter foils. Then hide them and watch the joy unfold!! They are surprisingly smooth and not too overbearingly peanut buttery. Delicious!